Here you can find examples of some of the projects. These models are based on the wishes of my customers. Sometimes I am given a design, sometimes we are creating it together. If you want "something" and you don't know what exactly yet, I am here to help you figure out. I can design an model based on your wishes. Just send me an email. Your feedback is extremely valuable for me! And particularly so if something does not fit or work for you! Your latex outfits are absolutely amazing! I'm so proud with the opportunity to take photos a lot of models and your outfits. I hope you that asap your work is recognized around the world. 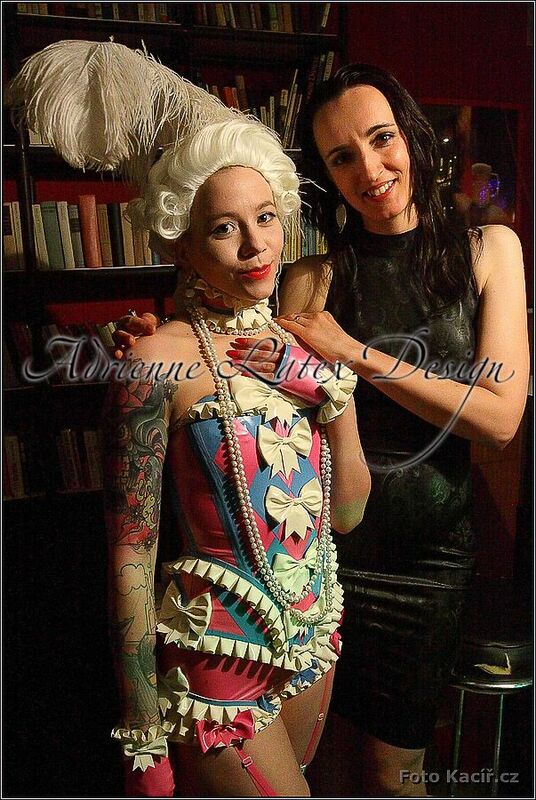 I will try to say at all the world (fetish world) your brand is absolutely great, serious and worth to buy Adrienne latex designs. Yes, the gloves arrived about two weeks ago and they are FANTASTIC!! I love them :D They are the best latex garment I have bought for years. I love the nails, they look amazing. When I need another pair I will order from you immediately. They are a tight fit which I like. Thank you very much. I really enjoy to see my models in practice. 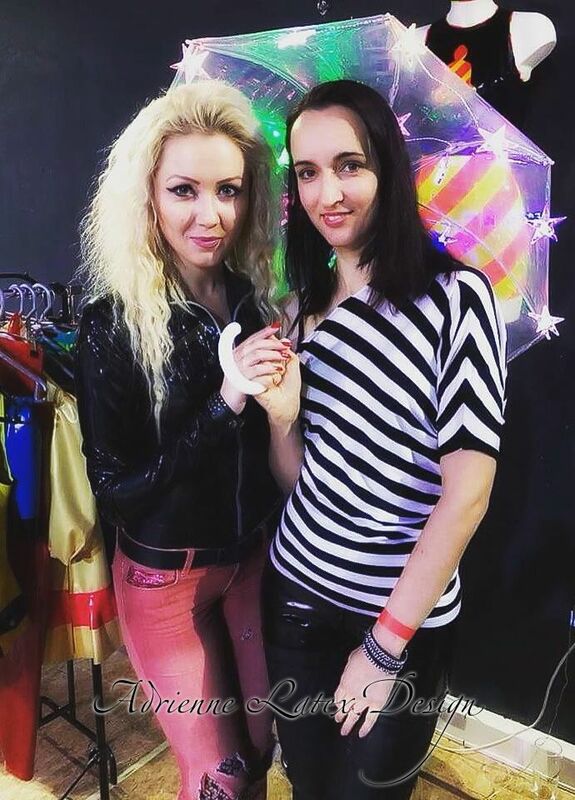 Here you can find some photos from Czech events such as Fetish Night Prague, FGP, Rubber Eliot a Adrienne fetish party, where I meet my fetish friends.